Last year Adam West and Burt Ward reprise their roles as Batman and Robin providing their voices to Batman: Return Of The Caped Crusaders in an animated film based off the television series in which they starred in the 1960's. The film was a huge success so a sequel is on the way and will feature Adam West's final performance as Batman. 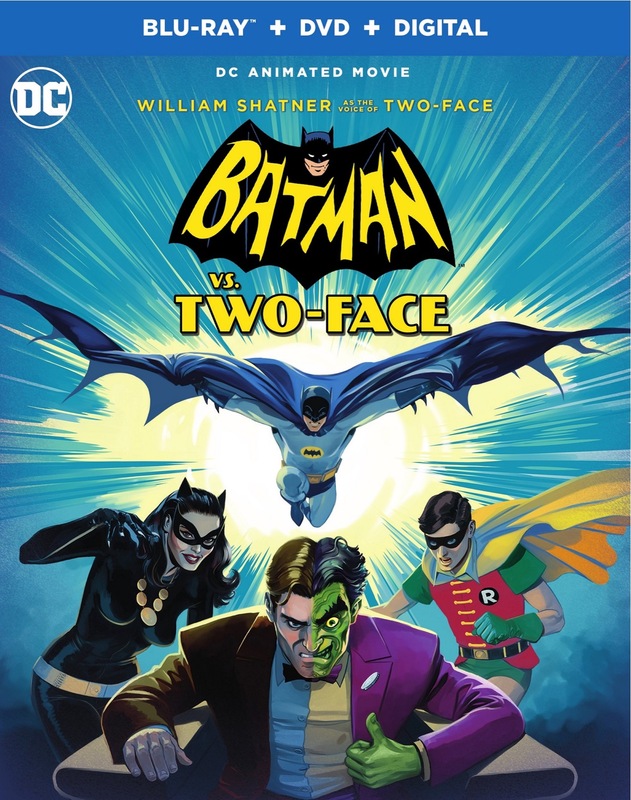 Batman Vs Two-Face will arrive on Digital Download October 10, 2017 and arrive on Blu-Ray and DVD October 17, 2017. Two-Face was never featured in the original television series and will make his debut in this animated film. William Shatner will provide the voice of Harvey Dent/Two-Face with Julie Newmar returning as Catwoman. While battling the villainous Two-Face, the Dynamic Duo also sees trouble from the likes of Catwoman, Joker, Riddler, Penguin, Bookworm, Hugo Strange and King Tut. 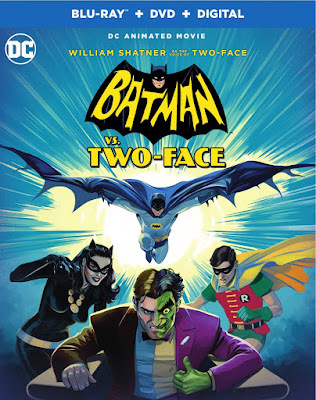 Batman Vs Two-Face is directed by Rick Morales.